It’s been a while hasn’t it? We trust you have been well. For all our followers via sicklelife.org only, it may seem like an eternity but we assure you, Sickle Life has been working behind the scenes to create awareness about Sickle Cell Disease. Do follow us on Social media (Facebook-Sickle Life, Instagram/ Twitter- @Sickle_Life) to stay updated. By way of new information; Sickle Life is now on YouTube. Kindly Subscribe to the Sickle Life Channel to follow our various activities as well as watch other Sickle Cell Disease related videos. Thank you. Let’s tell you what we’ve been engaged in now. Over the past quarter we’ve had a couple of outreaches, media engagement, a magazine publication, a documentary and as always, social media presence. First was an outreach to the THE CHURCH OF PENTECOST, SHALOM WORSHIP CENTRE, NII BOI TOWN as part of their health education week from the 22nd to 28th of August 2016. Topics discussed under this truly commendable programme ranged from Sickle Cell Disease to Dental Health, Food and Nutrition and Physical Therapy. Sickle Life commenced the week with a talk on Sickle Cell Disease. The disease, it’s symptoms, management and most importantly prevention were explained to members of the congregation. In the Question and Answer session there was a lot of concern (enthusiasm, if you will) about the cure for this condition. Bone marrow transplants were explained as well as the cost implications and availability/accessibility or otherwise within the Ghanaian context. Several members of the congregation sought further clarification on issues raised in a brief one-on-one session after the program. We are truly grateful to the Shalom congregation for granting us audience. We trust our message made some impact in their lives. 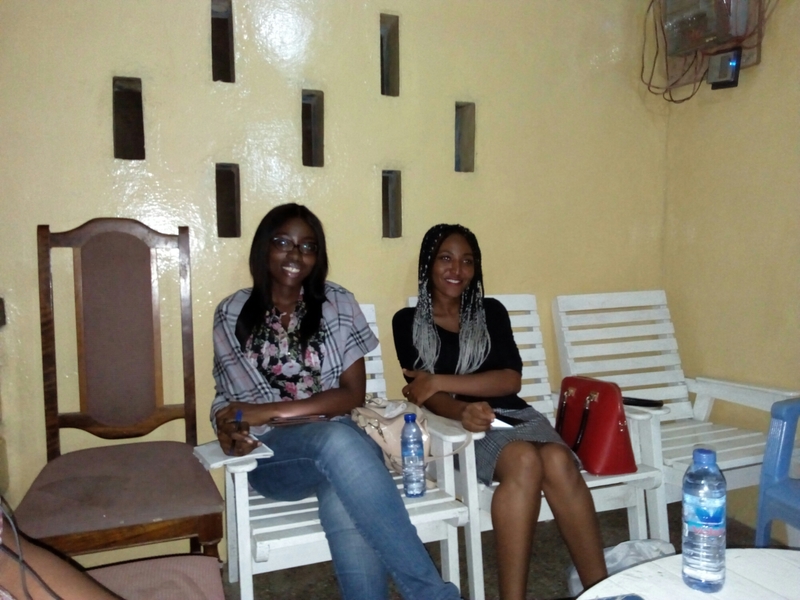 On the 4th of September #TeamSickleLife was invited by GLORIOUS LADIES, Dansoman for a talk on Sickle Cell Disease. These are a group of young ladies (and their male friends) who have set themselves apart to make an impact in Society. They called on Sickle Life to address the group because they had heard about the condition and wanted to know how they could help. Glorious ladies ( and gentlemen) was a fun group. 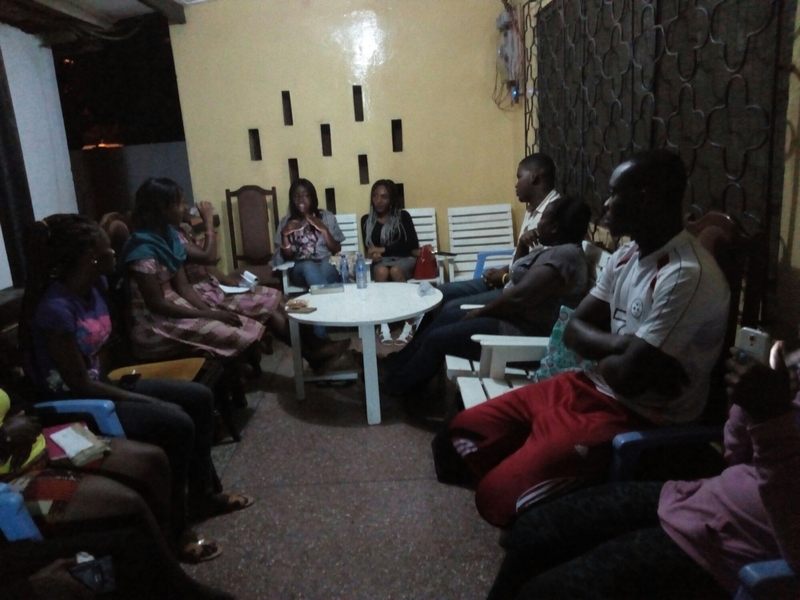 It was a laid back interaction with a lot of information shared about Sickle Cell Disease and even more questions to answer from this eager group. Our discussion could have gone on all night. Based on our first encounter, we pledged to find other opportunities to collaborate, either via a talk and health screening for their entire church or a much needed blood donation exercise. Did we mention there was food? Our very first post-talk party (yes we had an afterparty, you missed) which left even more time for questions. We’re looking forward to meeting this group again soon. We are absolutely looking forward to meeting this group again on another project. Contact Sickle Life if you belong to an organized group and would love to have a talk on Sickle Cell Disease, a medical screening including Sickle Cell Testing or a Blood Donation Exercise. Sickle Life thrives on partnership and we appreciate every opportunity to create awareness about Sickle Cell Disease. Thank-you. September, recognized as Sickle Awareness Month in several countries was another opportunity to draw attention to Sickle Cell Disease. In recognition of this, many Sickle Cell Disease organizations held fun-raisers and other programmes to draw attention to the condition. Ours was mostly an online campaign. We sought to inform the public about Sickle Cell Disease by sharing educational material generated online by other Sickle Cell Disease Organizations such as #BoldLipsForSickleCell and #SickleCell101. The facts were shared with the aim of educating as many people as possible about Sickle Cell Disease, its prevention and proper care and management of persons living with Sickle Cell Disease. Still in a bid to increase awareness about Sickle Cell Disease in Ghana, we submitted for publication in the Ghana Medical Association NewsMagazine (The GMA Focus) an article on love, logical and Sickle Cell Disease first published via www.sicklelife.org. This is an important discussion that must be had amongst health workers. Their immense role in the fight against Sickle Cell Disease cannot be over emphasized. Doctors play an invaluable role in counseling people about Sickle Cell Disease and caring for persons living with the condition throughout their lives. They gain first hand experience of caring for these children and are often well placed to provide effective counseling. The issues raised in this article are controversial. They will definitely get you thinking, and for doctors, questioning and talking. Feedback is welcome, divergent opinions are accepted and encouraged so we have a healthy debate. The article has already sparked debate in some circles and we hope it will in yours as well. 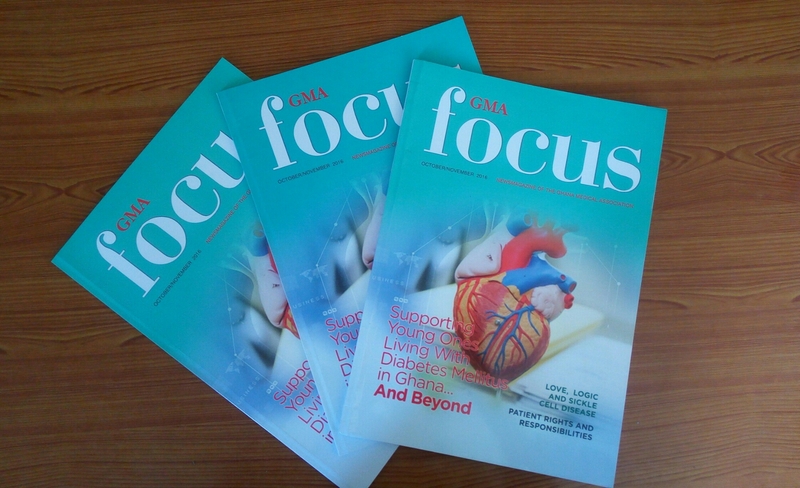 GMA members may pick up copies at their respective Regional GMA offices. Kindly read, learn, share and send feedback via any of our social media accounts or email us via sicklelifemd@gmail.com. 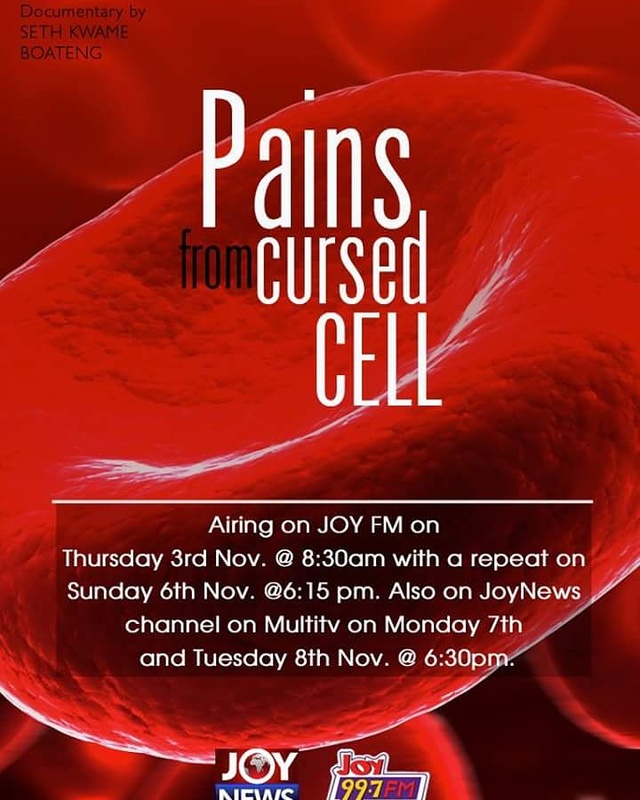 Still in this period, Sickle Life was featured in a Joy Fm HotLine documentary by multiple award winning journalist Seth Kwame Boateng titled “Cursed Cells“. The documentary sought to expose certain misconceptions about Sickle cell disease pervasive in many Ghanaian communities. It has a fine mix of patients, parents, health workers and people affected by Sickle Cell Disease in one way or the other sharing their perspective on the conditions. Notable resource persons in this documentary are Professor Ohene-Frempong of the Sickle Cell Foundation of Ghana, Dr. Olayemi, Head of Department of Haematology ( and Sickle Cell Clinic, Korle-Bu) and Dr. Sefakor Enam Bankas, Founder, Sickle Life. We strongly recommend you watch this video and share it with your friends and family. In our final major move during the period under review, we participated in a focus group discussion at the MINISTRY OF HEALTH regarding a new policy for non-communicable diseases in Ghana. It was heartwarming to learn that a new policy direction was being sought in relation to non -communicable disease and impressive to note that the perspective of patients were being factored into it. In attendance were the Sickle Cell Association of Ghana, (an organization with which Sickle Life collaborates strongly and with which we have many members in common), National Diabetes Association, Ghana and Basic Needs. Collaborators on this projects were the Ministry of Health, the Institute of Healthcare Improvement and the Ibora institute. Issues discussed included perceptions of the Ghanaian healthcare system by the various organized groups, how patients could position themselves to contribute in the decision making process ( policy formulation) and experiences of the health system in its current state as well as suggestions to improve the system to better serve patients. On the whole it was a fruitful discussion. Many important concerns were raised and suggestions given. Our earnest hope as organized groups representing persons living with Sickle Cell Disease, Diabetes and Mental illness is that the changes we collectively want will be implemented to improve the lives of the people we represented at this meeting. Sickle Life is committed to providing education and information about Sickle Cell Disease to enable the public make informed choices regarding this condition. We remain committed to this objective and will do everything within our power to stay true to our core mandate. We sincerely apologize for the delay in publishing the video and report from our World Sickle Cell Day event. An update concerning the event will be published soon. Keep following us for exciting information about our programs and events. This entry was posted in Blog, News/media and tagged Awareness, Ghana, health, sickle cell disease, Sickle Life. Bookmark the permalink. ← OPEN LETTER: To Whom It May Concern.